At 1:00pm we board our “A” category cruiser from the Dubrovnik harbour. After enjoying our first lunch together on board, we head off to explore the city with our tour leader and local tour guide. 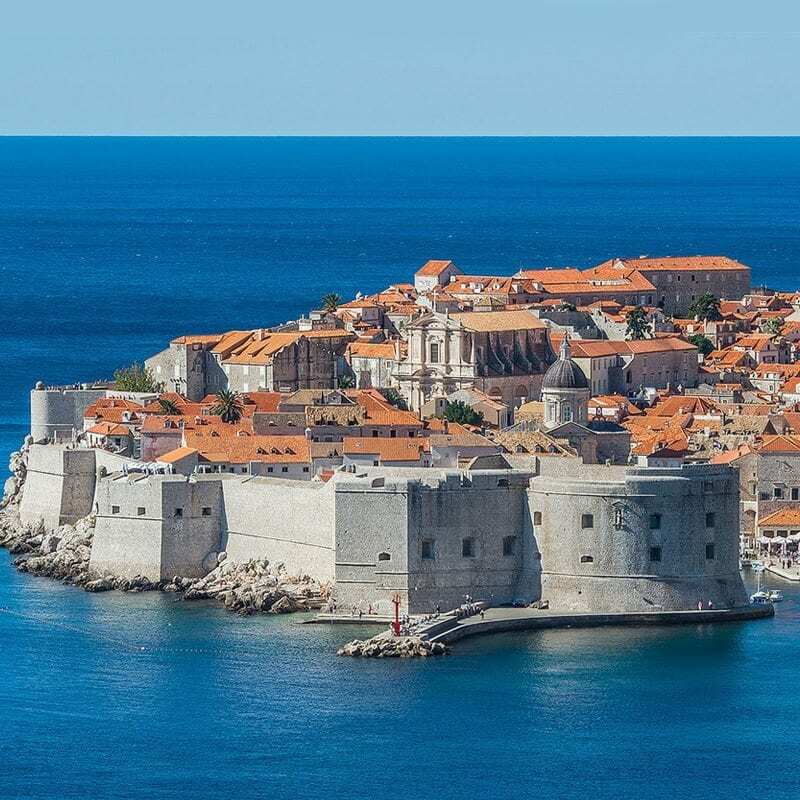 The walled city of Dubrovnik is now a UNESCO World Heritage Site, with the walls one of the main tourist attractions – the view of the Adriatic from the top is a must-see. 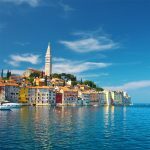 Spend your free afternoon exploring these walls and the pedestrian-only Old Town’s marble streets; head to the beach or enjoy a cold beer. 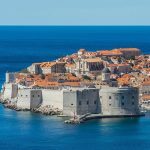 For dinner we can feast on fresh seafood before experiencing Dubrovnik nightlife and partying in a 13th Century fortress. 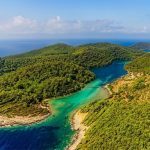 We depart Dubrovnik after breakfast and cruise down the coast to the forest-covered island of Mljet. The picturesque island is dotted with fields, vineyards and small villages and one-third was declared a National Park in 1960. 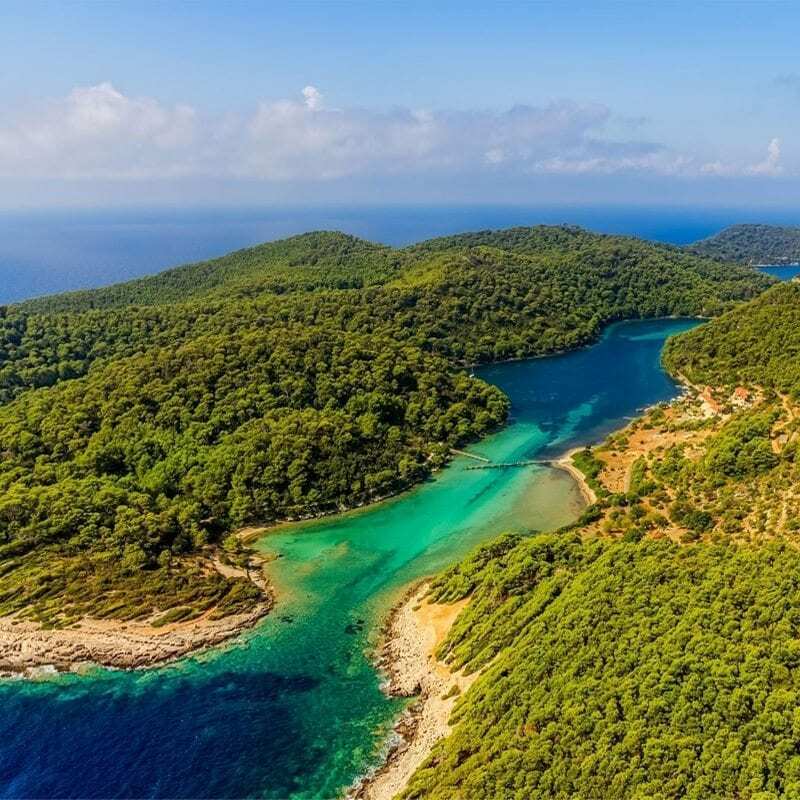 According to legend, Mljet is where Odysseus was trapped for seven years with his lover, Calypso – though locals believe it was the island’s natural beauty that charmed him. You have the afternoon here to visit the salt lakes, go swimming, kayaking, cycling or ride a scooter. 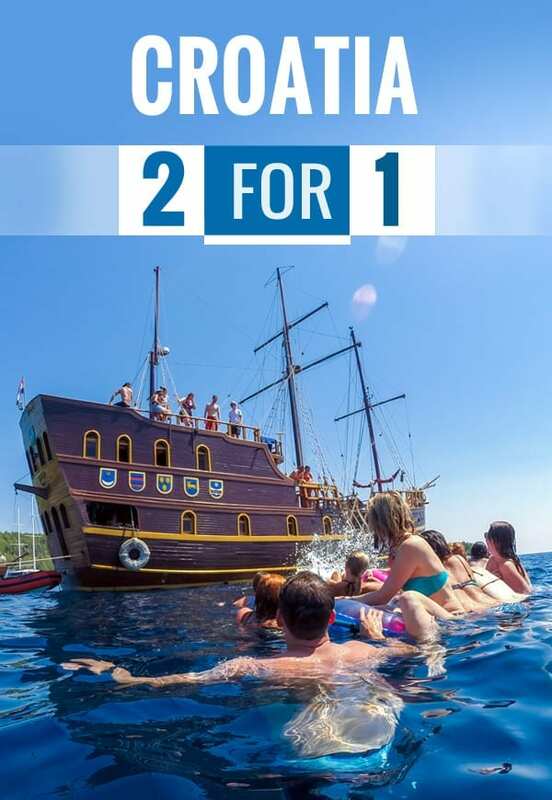 In the evening, it’s our famous on-board ‘Pirate Party’ with a special BBQ and traditional Croatian cuisine. We’ll play games and “P-aaarrrr-ty” the night away! 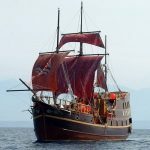 Today we sail to Lumbarda Beach and spend hours swimming, sunbaking or playing water-sports. Afterwards we continue to Korcula, a town blessed with indented coves, rolling hills and a walled old town that looks like a miniature Dubrovnik. 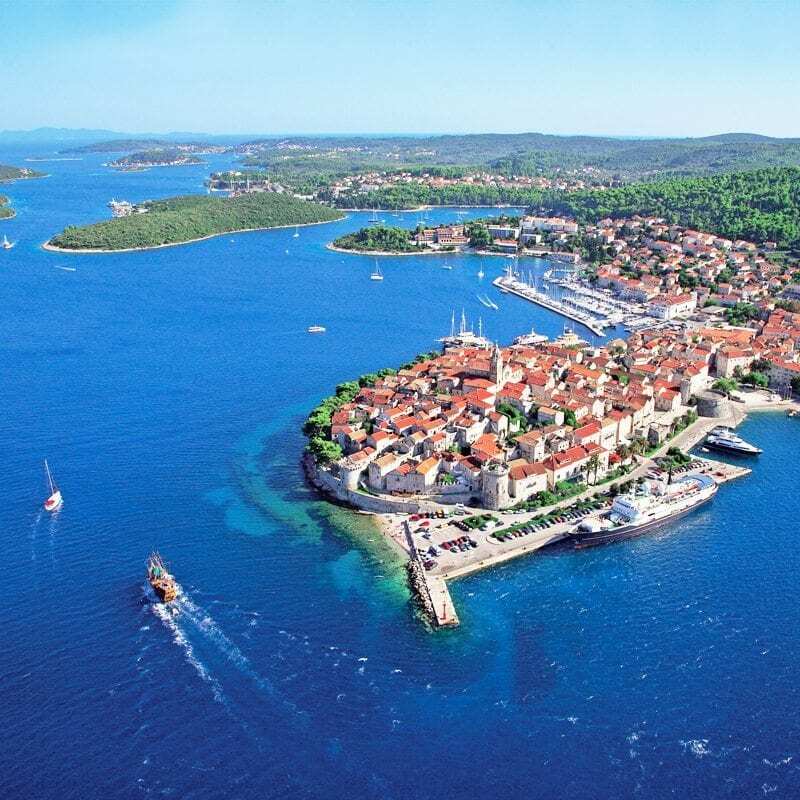 Korcula is the birthplace of Marco Polo and you will be given the afternoon free to visit the place where he lived after an orientation walk. 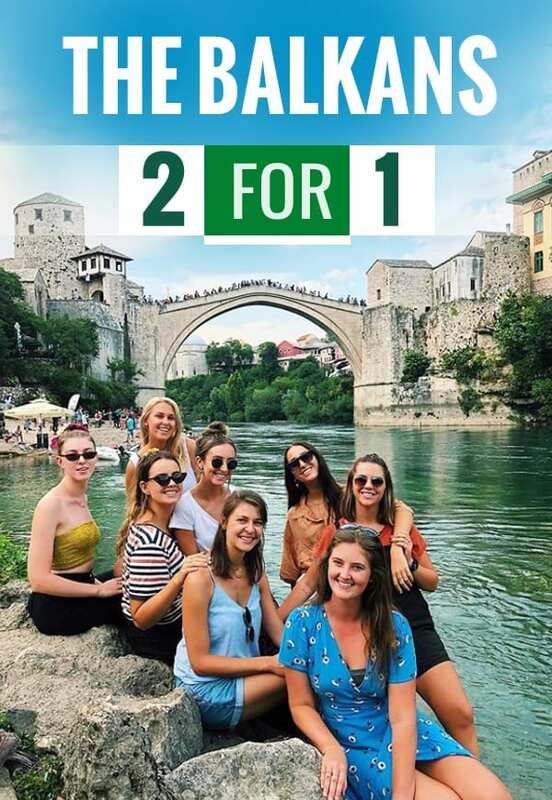 You could also spent the afternoon checking out the markets and local handicrafts or enjoy a drink in a bar located at the top of the old city tower for some phenomenal views. 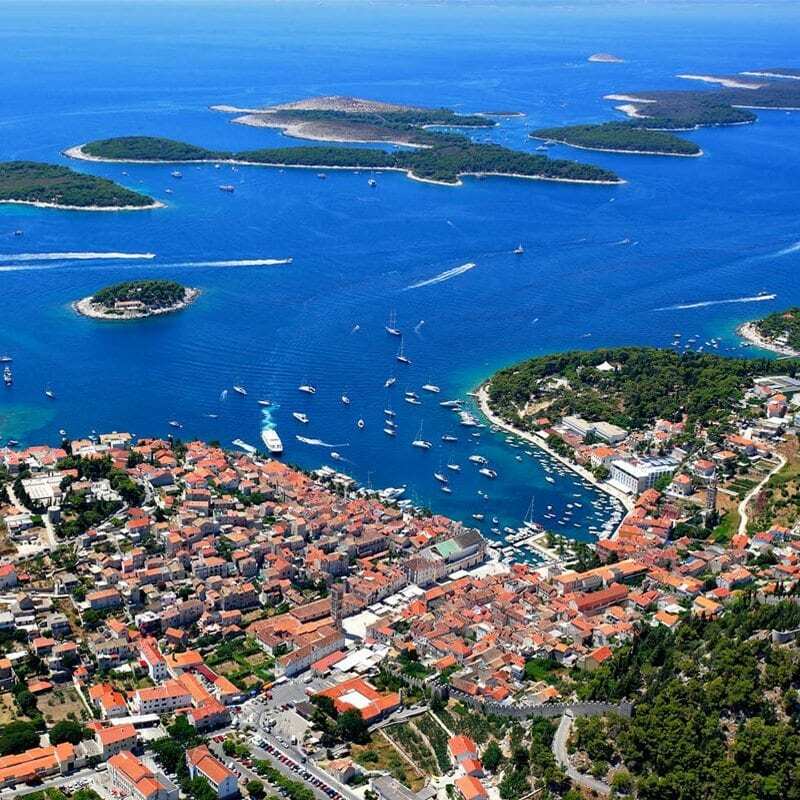 This morning we farewell Korcula and set sail for Hvar – one of the sunniest islands in the Adriatic and one well-known for its pumping nightlife, gorgeous beaches and for being a celebrity hot-spot. The island is also famous for its lavender, sage, rosemary and wine. 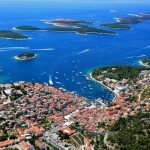 After an orientation walk of Hvar, we can sample the fresh cuisine in the numerous restaurants then get ready to party at the local bars and clubs. 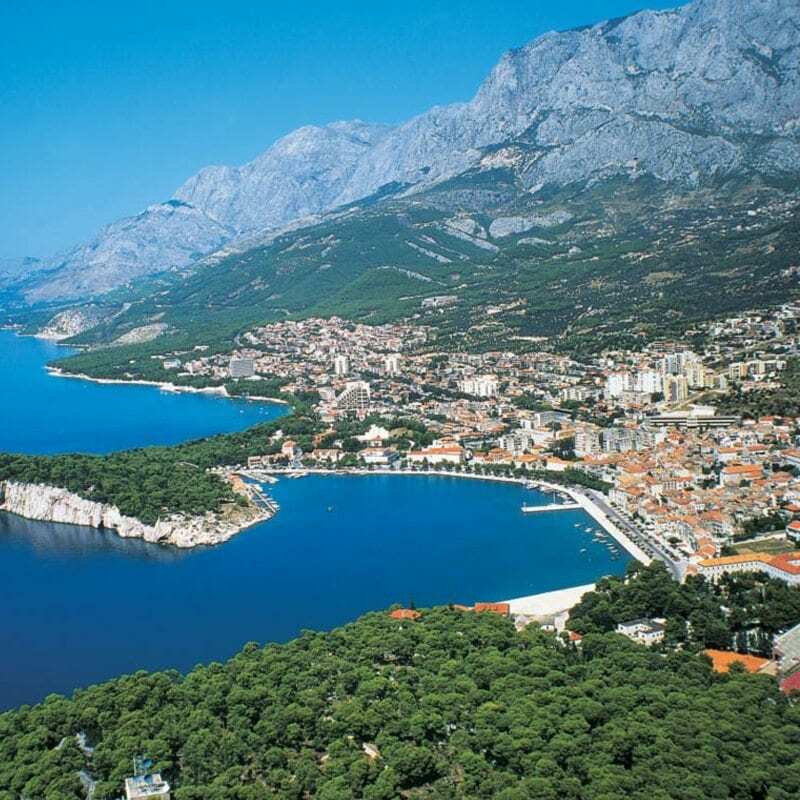 This morning we stop at hidden bays to go swimming then depart for the popular mainland resort town of Makarska – a town with a stunning backdrop courtesy of the Biokovo mountain range. We have a brief orientation walk then you’ve got the afternoon free to lie on the beautiful stretches of beach or do some water sports. There are loads of cafes, bars and restaurants that line the coastline too. At night we get ready to party in a cave! 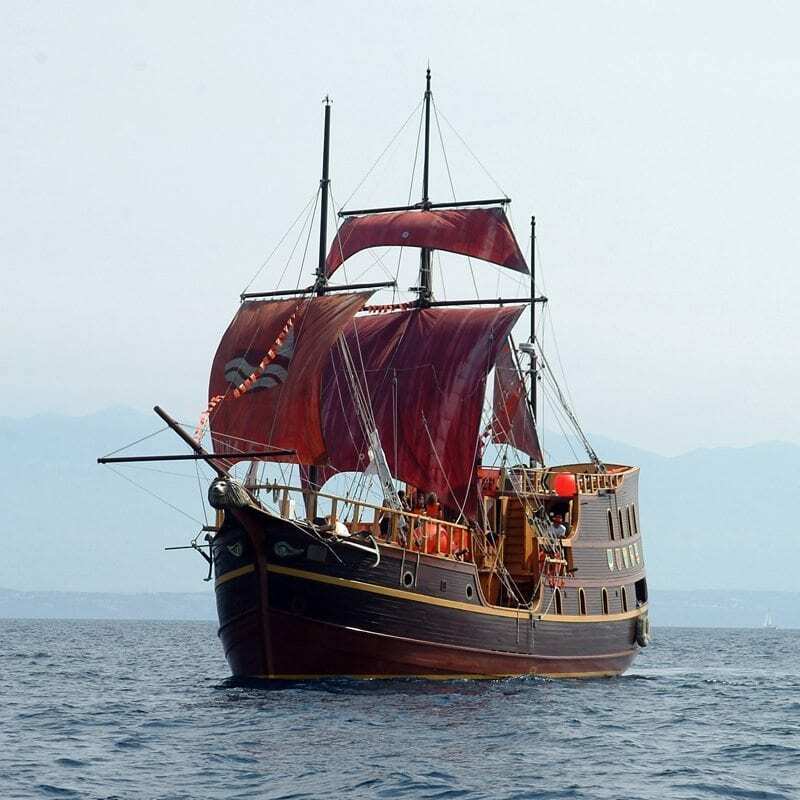 Today we have ample time to stop and swim before we sail to Omis, the Riviera with a rich and turbulent history of pirates – there’s evidence found on every corner including ancient names and old stone monuments. 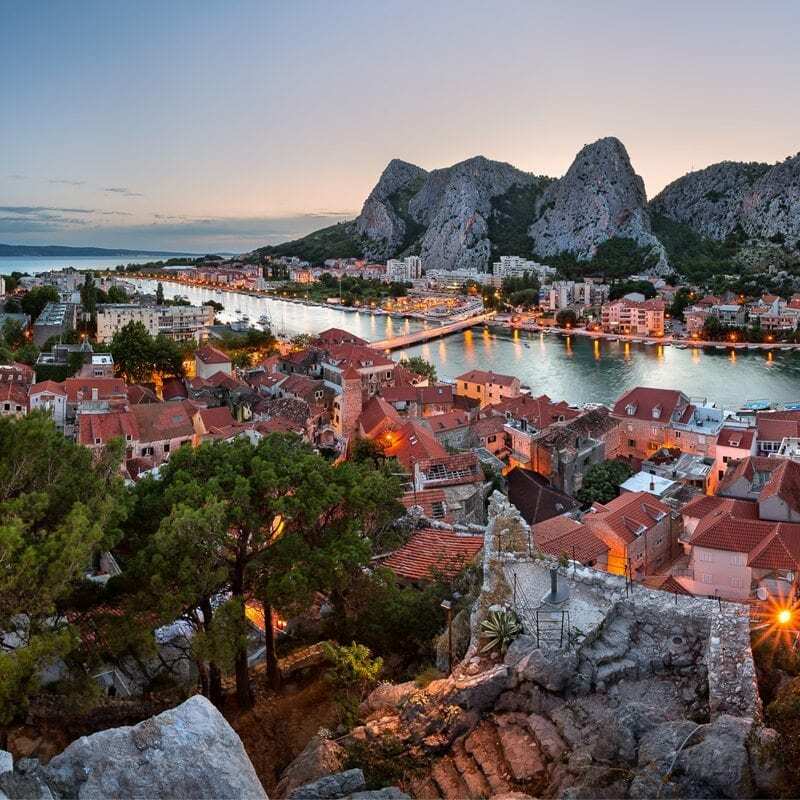 Omis is located at the mouth of the Cetina River and surrounded by massive gorges with a pleasant Mediterranean climate. Here we go rafting which is one of the highlights of the week! Today is another day in paradise as we sail further along the coast and stop for swimming and a lunch break along one of the amazing coastal beaches. 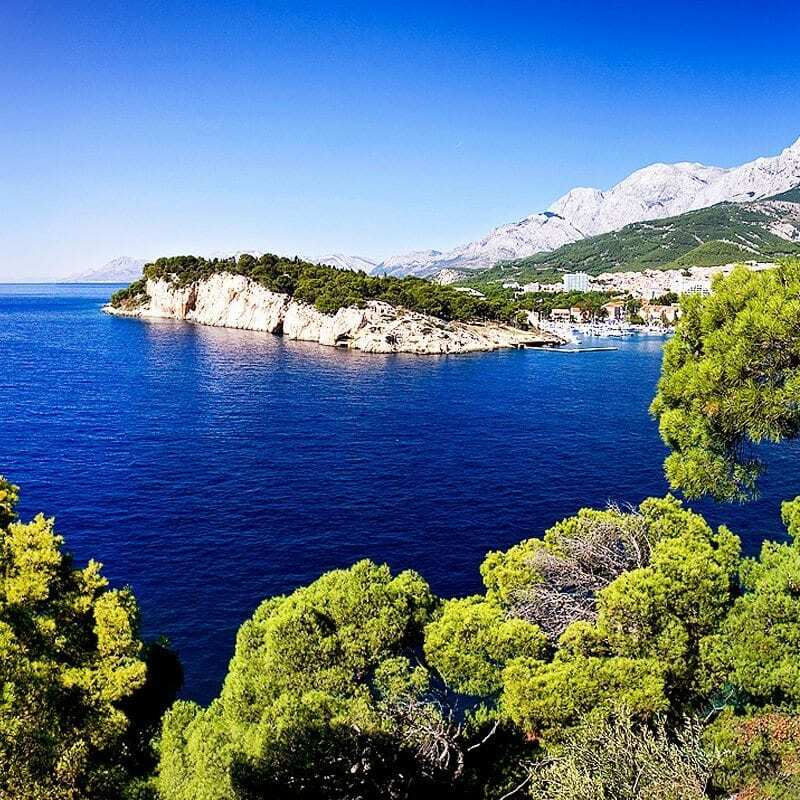 Soak up the sun and relax before we arrive in the buzzing city of Split. In the 4th Century the Roman Emperor Diocletian built a palace here as a retirement home but today you will find countless restaurants and shops. During your free afternoon and evening you have the chance to pick up some souvenirs at the markets, relax in a café along the promenade or have one last suntan or swim at the beach. Our trip has sadly come to an end after one last breakfast before we disembark and say goodbye to new friends. 7 nights in twin, double, triple and quadruple cabins in 'A' category private boats with ensuite facilities. 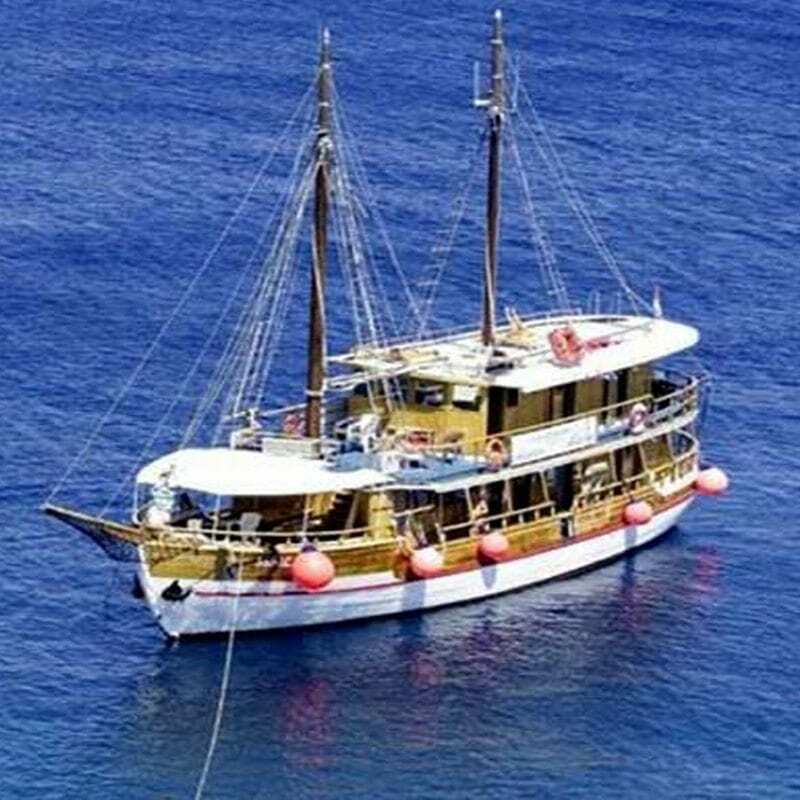 'A' category traditional Croatian motor cruiser with air condition in common areas. Services of the captain and experienced crew. Everything about the tour was amazing. The crew members & tour leaders were so friendly and helpful. 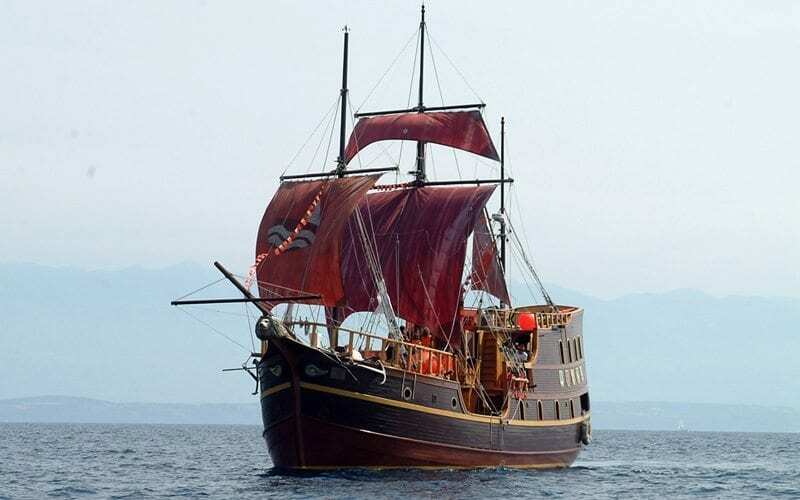 I loved the fact that we had a pirate ship! It really completed the Mediterranean life. I talked to random people on nights and after exchanging our experiences, I was pleased to find out ours was much cheaper and overall more enjoyable. 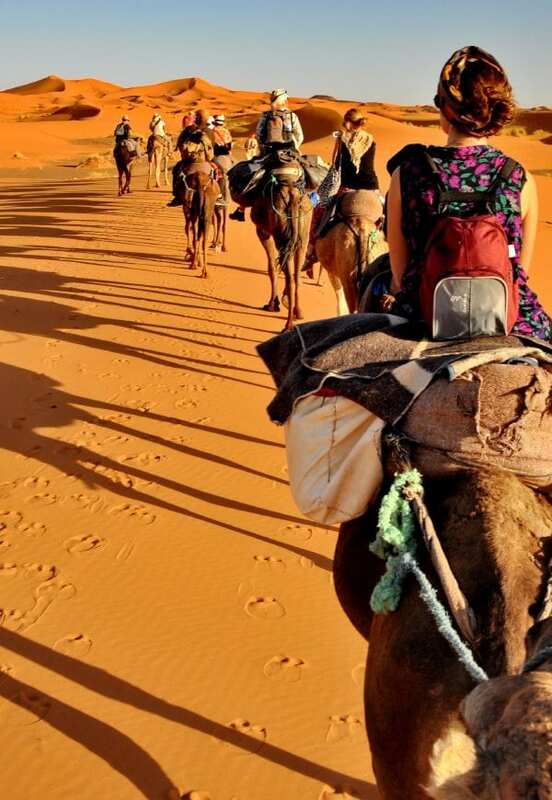 100% recommending Travel Talk to my friends, family and other randoms I meet out! Jo + Bree were amazing tour leaders. Very positive and lots of fun to be around with. Loved the tour and can’t wait for my next one. Amazing tour guides, always involved & inclusive of everyone’s needs. Would highly recommend to others. Our tour guide and boat crew were amazing. They took great care of us and were willing to join in some of the activities. 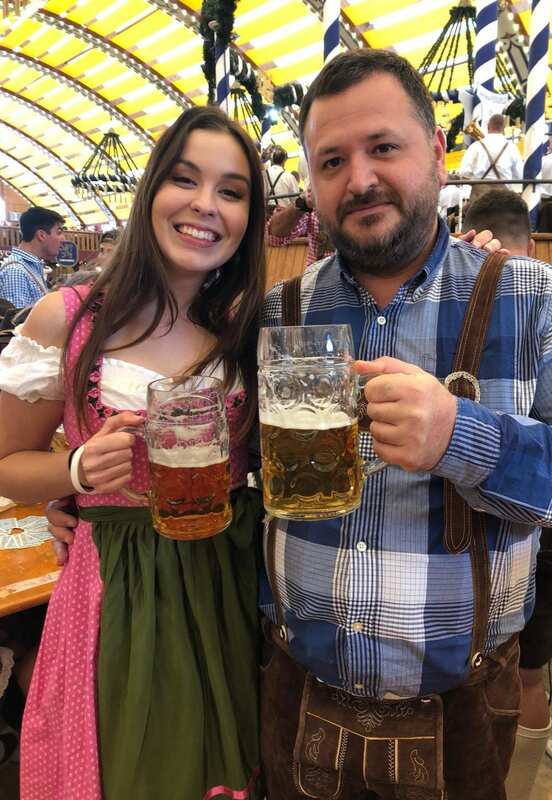 Overall it was a wonderful trip! Thank you! Great experience! Tour guides were so welcoming and fun! Well done Jo & Bree on your first tour! the crew were fantastic. Joseph is the cutest captain. 🙂 Couldn’t really fault it. Thank you Travel Talk!! I thoroughly enjoyed the tour, the ship was really cool and fun! The crew were great, super accommodating and friendly. The chef was able to accommodate my dietary requirements as wheat intolerant & the meals were delicious! Great tour and would highly recommend. Big thanks to Monica!! Exceptional tour guide, very informative, relaxed and made our diverse group work together really well.